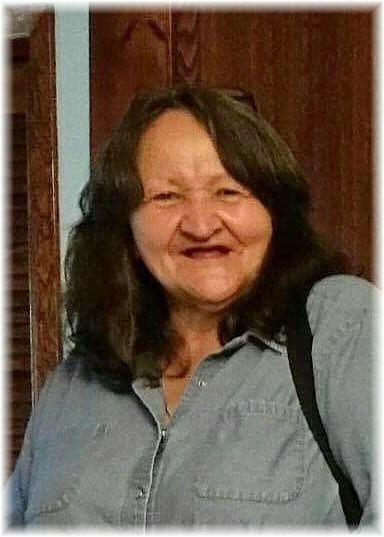 It is with great sadness that the family of Paulette Marlene Anderson (nee Strasdin) announce her passing on February 4, 2019 at the age of 67 years at the Dauphin Hospital. Paulette will be forever remembered by all who knew her. Paulette was born in Ste. Rose du Lac, MB on December 20, 1951 to Arnold and Bertha (Fayant) Strasdin. She went to school in Ste. Rose and in Dauphin as well. Paulette married Donald Graham in 1970, divorced 1974. Paulette then got married to Benjimen Anderson in 1994. Paulette got her GED at ACC in Dauphin and obtained her HCA Course and began working at St Paul’s Care Home in 1990 and continued for 22 years which then she retired. Paulette was widowed in 2001. Paulette is survived by her children, Wendy Graham, Clayton (Sandy) Pacey, Raven Graham; her grandkids Robin Graham, Rieley Graham, Dominic Graham, Jenna Case; brother Oliver Strasdin; sister Barbara Shaker. Paulette was predeceased by her parents Arnold and Bertha Strasdin; her husband Benjimen Anderson and her brother in law Ivan Shaker. The family of Paulette Anderson would like to extend a very appreciated thank you to the staff of the Dauphin Hospital that took care of her during her short stay. Funeral Service was held on Friday, February 15, 2019 at 2:00 pm from Sneath-Strilchuk Family Care Centre in Dauphin, MB with Father John Legitimas officiating. Interment followed in Riverside Cemetery in Dauphin, MB. Should friends so desire, donations in memory of Paulette may be made to Charity of one's choice.